It’s been a whirlwind few months with Neal’s Yard Remedies so I thought I’d give you a little update on my journey so far. I joined Neal’s Yard in June with a view to enjoy the 25% consultant discount and perhaps do a small amount of sales. I planned to do a ‘launch event’ as early as possible to make back the money I’d invested in the kit, that way I wasn’t out of pocket and had a lovely range of products to enjoy. I hadn’t even heard of NYRO until recently and was immediately intrigued by their brilliant incentives, career opportunities and flexible working hours … not to mention their company values, ethics and commitment to source and produce organic products. You can read more about how/why I joined here. Many of you know that I resigned from my teaching post this time last year and have been enjoying this season of spending time at home with Phoebe, alongside other social media-related business. So when the opportunity to join NYRO presented itself and it seemed to fit in nicely with what I was already doing, it felt like a no brainer. The low start up cost was obviously appealing - I joined for less than £50! Immediately I received my own replicated website that I could start selling from right away and gained access to the most incredible bank of NYRO resources. Neal’s Yard provide their consultants with everything they could ever need to help them run a successful business: social media graphics, business tools and stationery, a supportive online community, training (both free and paid, online and in-person) and more. The earning potential is more than I think I even realised when I joined, but is obviously hugely dependent on how much or how little we choose to do as an independent consultant. But the choice is ultimately ours … there is no Neal’s Yard police officer going to come and knock down your door, no menacing manager pushing for sales, no constant competing against colleagues - just total flexibility, a wonderfully supportive community and zero pressure. Sometimes I still cringe when I post something Neal’s Yard-related on my Instagram. I never want to be that person who bombards followers with ads or pushes product down people’s throats! You know that just isn’t me. But I do have to remind myself every so often that My Little Duke began as an online shop. My entire journey with MLD started with sales! It has been quite a journey for MLD over the last few years and I’m still a bit overwhelmed by the encouragement, support and opportunities that have come my way. I’m grateful for it all - even if I do moan about IG sometimes!! I still pinch myself some days when I’m picking Phoebe up from school or when we’re sitting at the table in the afternoon doing scissor work or writing skills. I’ve said it before and I’ll say it again … I never thought this would be me, I never imagined my life take this turn, I never thought I ever even wanted to be in this position. Yet here I am. It hasn’t been easy, I’ve mentioned this before … so any extra income I can create … be it through an ‘ad’ on Instagram, or the odd paid collaboration or through NYRO … it all helps. I’m currently testing out a few other avenues too - there’s a lot of trial and error going on these days! 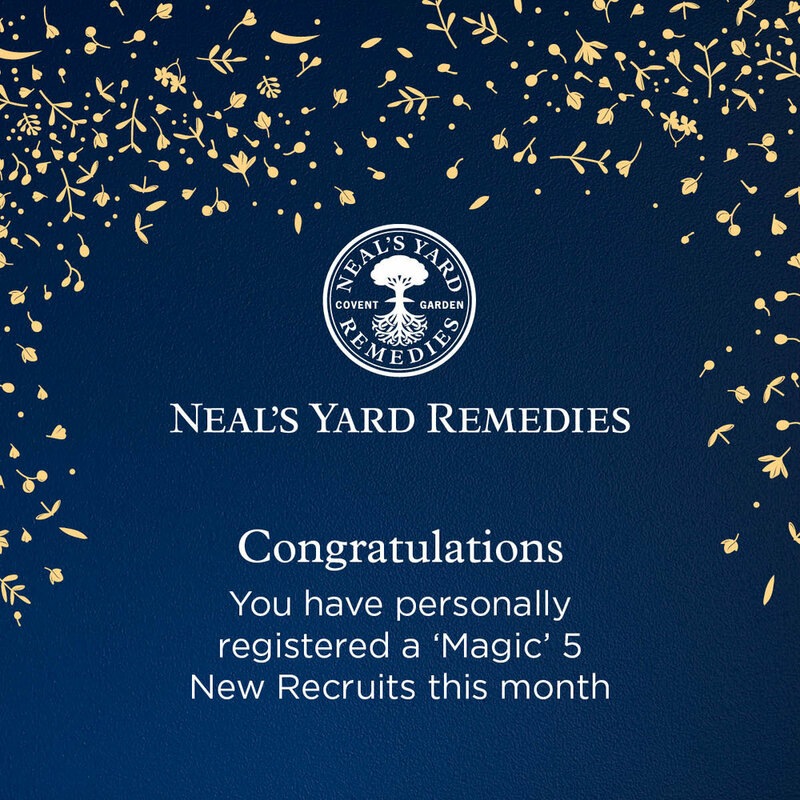 But I’m four months into my blue bottle journey now and starting to realise that I could make a good go at earning with Neal’s Yard Remedies. Last month saw me recruit over 10 new consultants to my team and receive a promotion to Senior Consultant! Crazy! I was even on the Top 10 Recruits list for October - this covers the whole of the UK!! What?! I’m absolutely not telling you this to boast … once again, you know that’s not my jam! I’m telling you this because there might be some of you reading along thinking, “I’d like this” or “I could give NYRO a go too”. It really is a wonderful opportunity and you know I’d never promote something that isn’t genuine. My wee team is growing and you would be warmly welcomed if you fancied joining us. Northern Ireland is making herself known in the world of NYRO these days and it’s an exciting time to be part of such a successful and growing company! The current joining offer (and the last chance to join before Christmas) finishes tomorrow (Nov 5th), so if you are thinking about grabbing it or giving NYRO a wee go, don’t delay! The mini-kit is an absolute steal at £45 – a full size pot of Wild Rose Beauty Balm is £40 alone! Some of my newest recruits have joined to earn a little extra money during the Christmas season, some are using products from the kit as Christmas gifts and some are just keen to enjoy 25% discount for themselves! However, one common thread is the craving to be a part of a community, to step out of comfort zones and be a little bit brave. I never ever thought four months ago that I’d be heading towards becoming a Team Leader with a team of almost 20! I never thought I’d get to enjoy so many vouchers, discounts and freebies! And I never thought I’d sit in a training session bubbling with passion and enthusiasm to be part of a company I hasn’t even heard of less than a year ago. You can read about becoming a consultant and/or join here. 1. Join – like I’ve already mentioned … become a consultant! 2. Share – be a host and get some friends & family over. This next season is the perfect time to be a host! Why not host a ‘shop & sip’ party – friends/family can get some Christmas shopping done and you get to enjoy some free shopping of your own!? As a host you’ll get a free full-size product, free and half price shopping and the opportunity to enjoy a free treatment. Get in touch to nab a slot before Christmas! 3. Shop – if you haven’t already, become a customer. I want to say a heartfelt thank you to anyone reading who has ordered from me during these last four months. I earn 25% commission on my sales and like I said previously … every little bit extra helps me to be able to work from home. I really appreciate your custom. And if you haven’t yet shopped with NYRO, why not start today? You can view my online shop here or contact me and I’ll pop a brochure in the post to you! You can order directly from my website or I can add your order in with my own weekly deliveries – that way, you just might get a wee freebie or two!! So there you have it! Four months in and I’m a little overwhelmed but very much enjoying my NYRO journey. I’m hopeful for a busy Christmas season and excited to see what next year has in store. As always, thank you for reading my blog, I just love having you around.